We love illustrator Michelle's cats Dave, Bob, Nigel, Holly & Maggie in their Scandi jumpers. 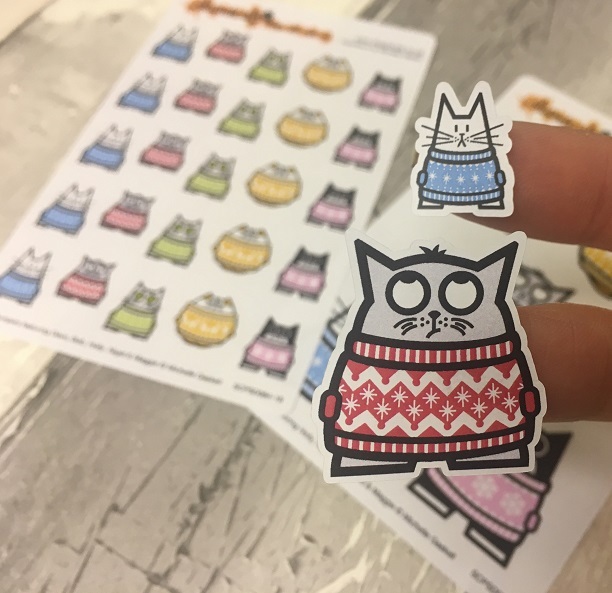 Two stickers sheets included: 25 mini stickers & 5 larger stickers featuring each cat. Made by Etsy seller stupidcats.